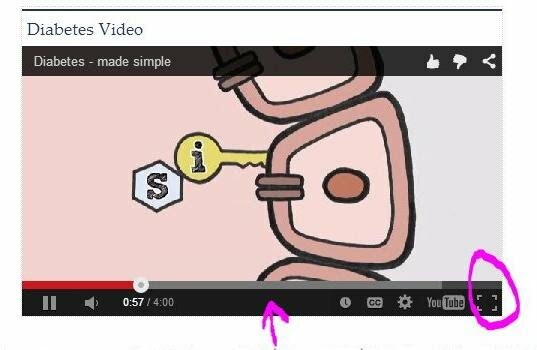 The steps below show you how to watch the videos on this website. Each step includes a picture of what your computer screen would look like at the time. you then want to return the video to the original small size, press ESC (short for escape) on your keyboard at the top left hand corner of it (see last picture at bottom of this page). If you want to make the sound louder or lower, click on the loudspeaker picture on the dark strip. If you want to stop and then restart the computer click on the two short parallel lines on the far left of the strip. If you have no sound on your computer, you might need speakers which you can buy from PC World on Kensington High Street and attach to your computer yourself (see picture - above right). They cost £5.99. CLICK HERE for more details. If you would like to watch films or listen to music on your computer you may decide to buy better quality speakers. Speak to a sales person at PC World. and here's your keyboard with the ESC (short for escape) key at the top left-hand-corner of your keyboard.